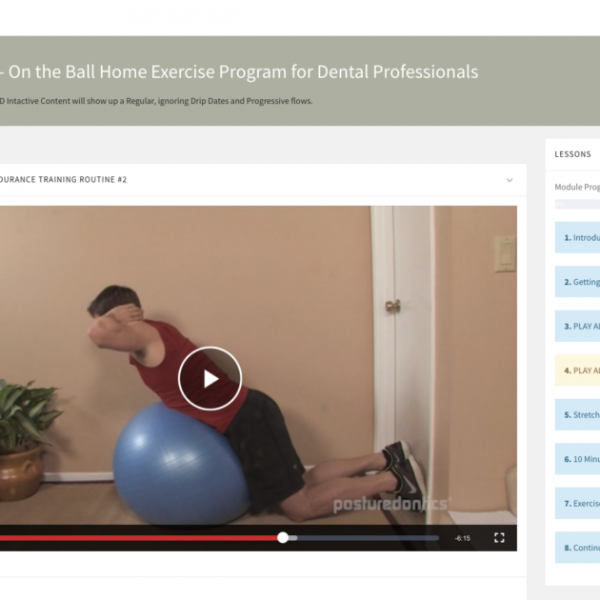 An EVIDENCE-BASED EXERCISE program developed specifically for DENTAL PROFESSIONALS. 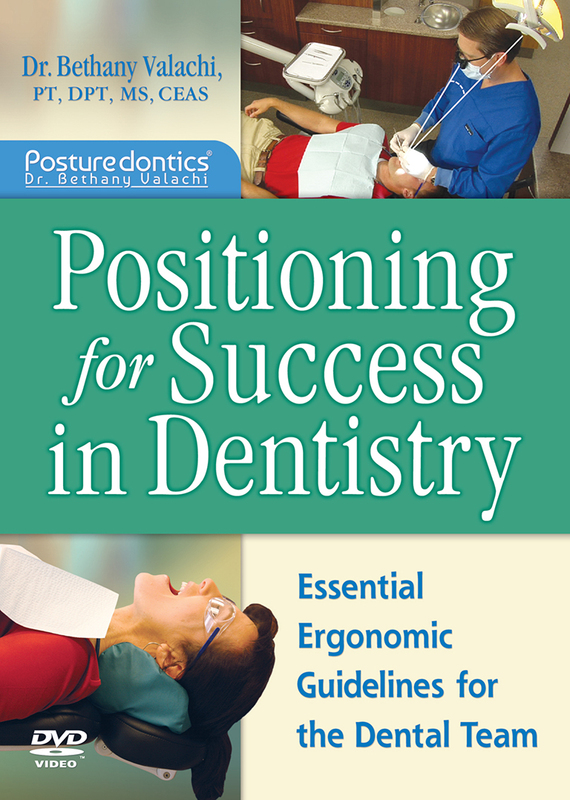 *This course is included in the Dental Ergonomic WellBody System. Strengthening the wrong muscles is the most common mistake dental professionals make, and can throw them into the vicious pain cycle. Learn how to correct your muscle imbalances, prevent pain, work more comfortably, increase productivity and reduce fatigue. This program fuses the latest research on exercises that prevent low back pain, neck pain and shoulder pain with elements of biomechanics in the operatory, pilates, yoga and exercise physiology to create a highly specific and effective exercise routine that corrects the unique muscle imbalances that tend to develop in dental professionals. 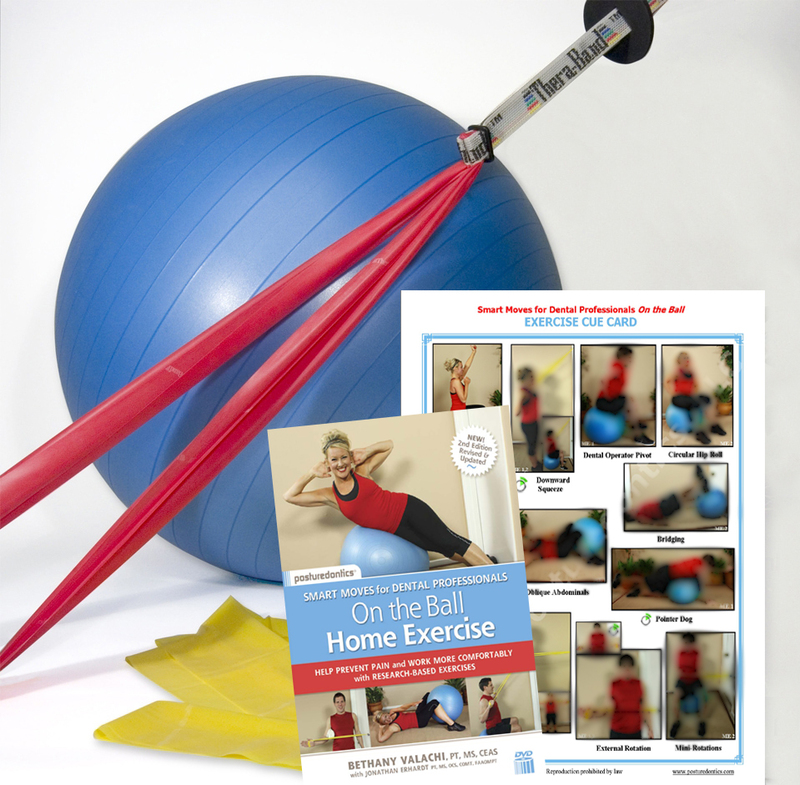 Kit includes: 24 exercise videos in 3 routines, instruction manual, laminated exercise cue card, door anchor, red & yellow exercise bands. Learn how to perform muscular endurance training on key stabilizing muscles to help prevent pain, work more comfortably and tone your body. Discover how each exercise can be applied to your movement everyday in the operatory. Learn which exercises, gym machines and generic exercise regimens can worsen your muscle imbalances and cause pain. DVD of Online Videos – Optional, if you’d like an extra hard copy of your online videos. Select ‘Add DVD’ upon checkout. Exercise Ball – Optional-select ‘Add ball’ upon checkout. (You’ll find them cheaper at Amazon). Earn 2 CEUs! Scroll down for AGD PACE CE Course information. End User Copyright Agreement: To view the agreement, please click here. In dentistry, pain and injury can occur due to poor postures when key stabilizing muscles fatigue. 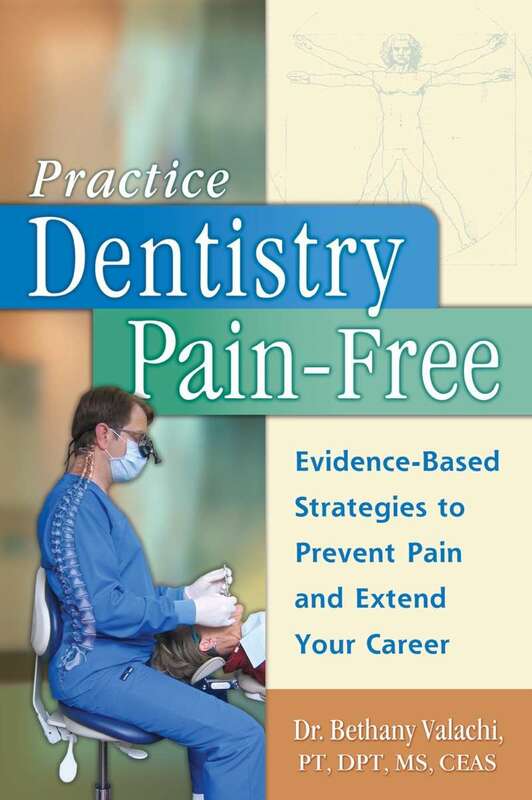 Learn how to prevent injuries and extend your career by targeting specific muscle groups and movement patterns that research has shown are problematic in dental professionals. The swiss exercise ball and elastic exercise band are utilized to guide you through a series of 20 low-impact exercises, stretches and mobilizations. Photos and narration in the video help operators understand and apply exercise and movement concepts to their everyday practice. Exercise cue card enables exercises to be performed without video after techniques are learned. Video length is 75 minutes. 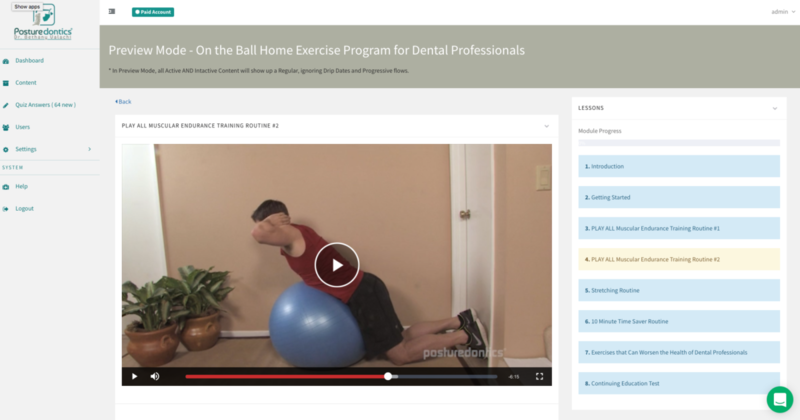 Identify which exercises can worsen dental professionals’ muscle imbalances and cause pain. Thank you for the On the Ball exercises! I use the strengthening/stretching routine, and it works! I started doing the exercises and have been noticing improvement in less than 1 week. In physical therapy they were having me do just about all the exercises you recommend that dentists should avoid. Now I can understand why the exercises were so painful. Finally, something that helps!! This new exercise program helps begin training that can add years to your career and allow you to care for your patients optimally. Buying this program could be the most important investment you make in your career. I am a 53-year-old Dentist, in private practice for over 26 years. I’m also a distance biker, swimmer, and formally a power lifter. As many of you reading this know, dentistry gets harder after you’ve been doing it for 20+ years… Not technically, but physically. Turns out my normal exercise routine has been simply exacerbating my neck and shoulder pain. After a short time on Bethany’s new program of muscle endurance exercises and stretching, I already see marked improvement. My only regret is that I did not find this information sooner. Exercises are very beneficial and helpful for me, they reduce muscle pain and fatigue. 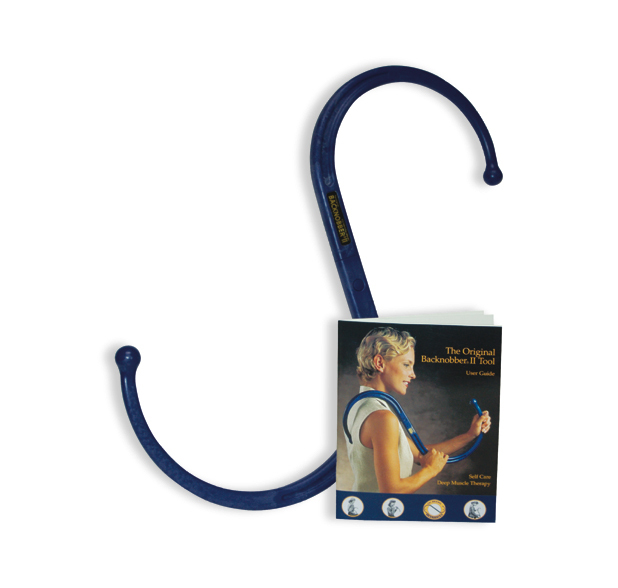 The exercises that Dr. Valachi covers have been very helpful to me in strengthening the essential muscles needed to deliver effective dental care. I also found it useful that she covers which exercises will exacerbate existing muscle imbalances so you do not worsen them. This is a wonderful course. It details the muscle imbalances common in our profession and provides a manageable strengthening and endurance routine combined with stretches for optimal health and prevention of neck, low and upper back pain. Dr Valachi understands the biomechanics of our profession and she has really put together fitness routine that will prevent musculoskeletal disorders. This is such a beneficial CE. It’s like a professional gift for yourself! I have been practising dentistry for 20+ years and like many colleagues have severe upper back and neck stiffness. This exercise routine really helps stretch and strengthen the appropriate muscles and has helped me in my day to day practice. It is also useful to know what exercises or workouts can make things worse. I attended Bethany’s ergonimics course years ago and did not inves in myself at that time. I should have purchased this set of educational DVD’s and online courses then. I have been practicing dental hygiene over 26 years. I have neck pain and seek care from chiropractors, massage therapists and more. If I had done the stretches and exercises along my career I am sure I’d be in much better shape. I am now the proud owner of many of her courses and I am using them. Within 2 weeks of doing the stretches and exercises I am so much better. The chiropractor hardly had to make an adjustment to my neck and back today. I am so glad I made the investment in these programs. Thank you Bethany. I’ve been in practice for 39 years and endured worsening neck and shoulder pain for years. On the Ball Home Exercise Course greatly improved the pain right away. 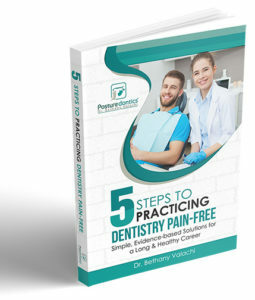 I had previously read the book, Practice Dentistry Pain-Free and reviewing the book, I also started doing the recommended 30 minutes of cardio exercise 4+ times a week. The combination of those has helped me to live pain free.